From Wikipedia, the free encyclopedia. 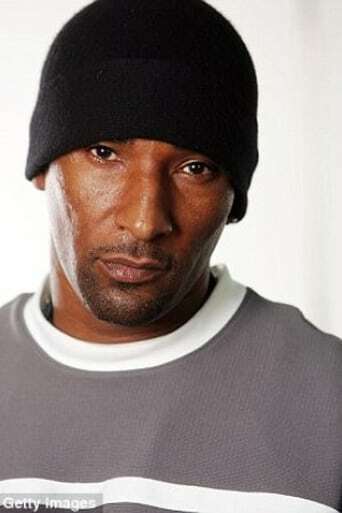 Cle Shaheed Sloan (born 1971), aka "Bone", is an American filmmaker and activist from Los Angeles, California, USA. While still a member of Athens Park Bloods, a Los Angeles street gang, Sloan worked to reform gang culture to put an end to gang violence from the inside. Sloan was introduced to the film industry by football legend Jim Brown, who helped him secure a job as an assistant when he was released from prison. The job allowed Sloan to meet director Antoine Fuqua and sparked his interest in becoming a cinematographer. Sloan has since worked on two of Fuqua's hit movies Training Day and Tears of the Sun. During the production of Training Day, Sloan worked as a gang adviser and helped persuade actual gang members to lend their credibility to the project on-screen. He has also directed and appears in the 2006 documentary film Bastards of the Party which appeared at the 2005 Tribeca Film Festival and at the 2006 Hollywood Black Film Festival. Bastards of the Party aired on HBO on February 6, 2007. He was featured on Bill O'Reilly's The O'Reilly Factor and Anderson Cooper 360º speaking out against gang violence on behalf of his non profit organization AKTIVE which is helping to "Change the gangs from the inside" by working with active gang members in communities nationwide. Recently, he starred in the 2008 film Street Kings (originally titled The Night Watchman) which also features Forrest Whitaker, Common, and Keanu Reeves. Description above from the Wikipedia article Cle Shaheed Sloan, licensed under CC-BY-SA,full list of contributors on Wikipedia.